Over 1000 Italian and international brands have returned to the city this January for 83rd edition of Pitti Uomo, Florence’s home-grown fashion trade fair which pays tribute this year to an activity that may seems to have fallen out of fashion: reading. According to Pitti Immagine, it’s the contrary: reading and books are more fashionable than ever. Pitti Bookswear is the key theme for the Pitti Uomo and Pitti W winter fairs this year and the physicality of books will be present in several pavilions at the Fortezza da Basso, in addition to the main site-specific installation in front of the Main pavilion, designed by Oliviero Baldini. 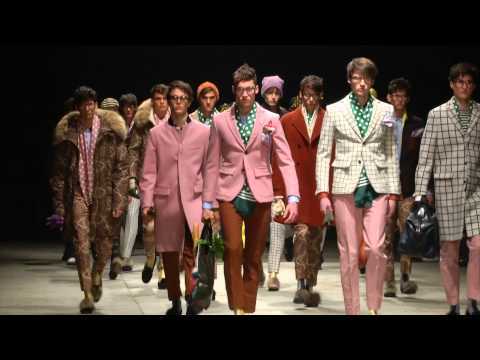 Pitti Immagine, organizer of the bi-annual international fashion trade fair, runs this year from January 8 to 11, 2013. Among the top trends to look out for at the Fortezza da Basso this edition is contemporary craftsmanship. Superb handmade quality and meets contemporary style and design in the special “Make” area set up in the central pavilion. Another major trend is the revival of heavyweight fabrics, like felt, with a contemporary vision. These fabrics are so hot at Pitti Uomo that we’ll likely see a lot more sweatshirts than sweaters next season. Among the high profile events is a special fashion show at Palazzo Vecchio. There, Italian designer Ermanno Scervino will present his winter 2012/2013 men’s collection and women’s pre-collection on the runway in one of the most prestigious venues in Florence: Salone dei Cinquecento. He will be the first designer ever to show his creations in Palazzo Vecchio. Special guest at Pitti Uomo 83 special is Maison Kenzo, directed by the creative design duo Humberto Leon and Carol Lim. For more information and spot more trends from Pitti Uomo 83, see www.pittimmagine.com.